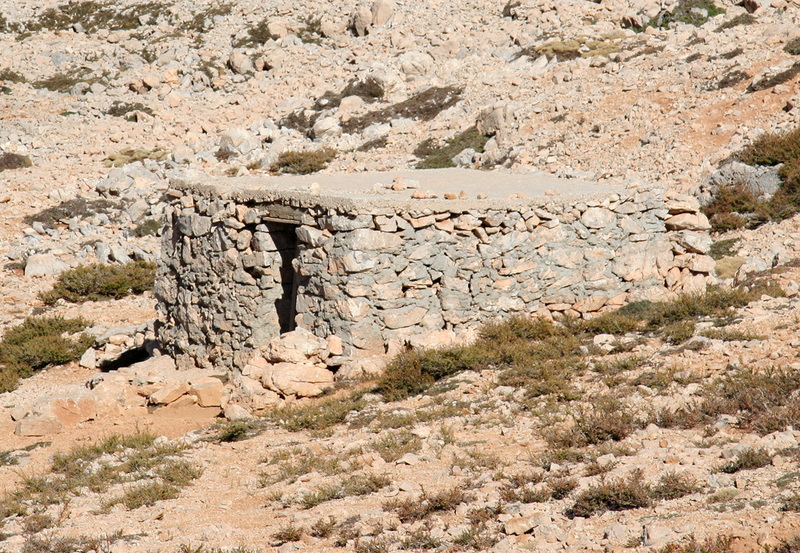 Location: In the range called Lefká Óri, western Crete. How to get there: The nearest airport is Chania with direct connections to many European cities. From the airport, drive towards Chania, then fork left following signs for Soúda and enter the main highway going east. Locate the right turn towards Sfakion/Sfakia on the south (opposite) coast. The sign I spotted required immediate action (braking) as the sharp turn down into a small road followed immediately. Drive this road as it winds its way up the mountains, then back down with many narrow hair pin turns. Make a right where the road forks near the coast and drive to Sfakion/Sfakia. As you enter town, the road forks again, bear right and follow signs for Anapóli. This road climbs about 500 meter with numerous sharp curves and is partly eroded, pay attention when driving here. 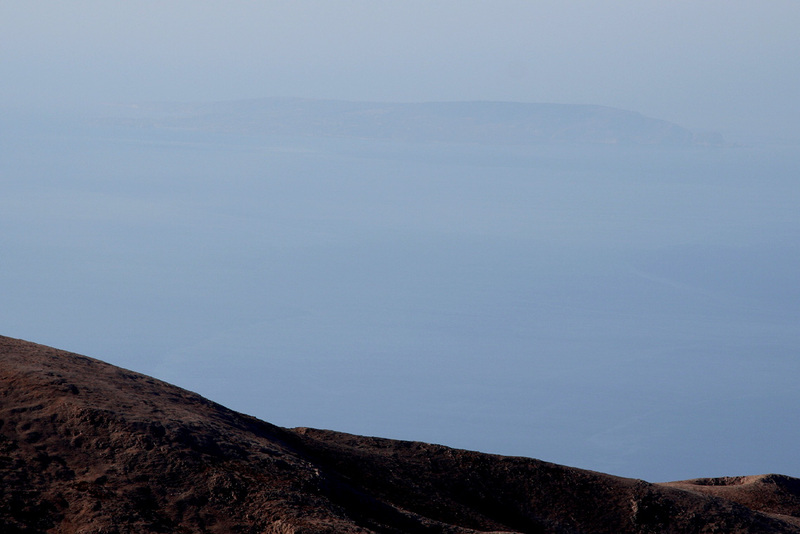 Finally, 11.7 kilometer from Sfakion/Sfakia, you arrive in Anapóli village. Continue until you find a small "traffic circle" (no signs) with a marble statue in its center. There is a "hotel" on your left and an informational map straight ahead. The location of this place is N35:13.080, E024:05.130, elevation 572 meter. The sign outlines a (bicycle) route from here to a place named Mouri, distance 11.5 kilometer. A more careful examination of this sign also reveals a side road from this route in the direction of Páchnes. Measure from the "traffic circle", after 0.1 kilometer, bear right (the left turn is towards Arádena), then at 1.2 kilometer the paved road ends and turns into dirt. Follow the bicycle sign (bear left). Stay right at 2.3 kilometer and start climbing. The road is rough, but fortunately, it does not get much worse higher up. Keep left at 6.6 kilometer (follow the bicycle sign), then at 9.2 kilometer, fork left. There is a gate (wire) here, hopefully it is open, or the hike will be about 7 kilometer longer (each way). The road climbs and eventually enters a valley, you have now driven about 15 kilometer. Here is a good place to look for parking if your goal is to climb a European Ultra peak with a minimum of 600 meter vertical gain on foot. I parked at elevation 1688 meter at a nice turnout in a sharp right hand curve. Location N35:16.333, E024:05.381. The road continues to about 2000 meter elevation and the quality is about the same also for the remainder part. Route description: This description starts where I parked my car. Continue up along the road as it climbs on the right hand side of the valley. Soon, you reach a more level, saddle-like area and get a view (fairly horizontally) along the valley, sort of north-east. The road is now quite level, even a bit down, before it starts a gradual climb into what looks like a side valley turning more left. The route crosses to the right hand side, then climbs steadily to about 2000 meter of elevation where the road ends. Pay attention when leaving the road (I immediately lost the trail!) The trail is on the upper side (to your right). Actually, the trail is parallel to the last section of the road above some small cliffs (created when they made the road). Therefore, head right as soon as you leave the road until you locate the trail. Follow the trail as it gradually climbs to the saddle ahead. This saddle is at N35:17.740, E024:03.088, elevation 2133 meter. Here, there is a trail fork. The main trail continues down into the valley ahead, there is a mountain hut (refuge) further down. The summit trail forks straight to your left as it climbs the gentle ridge. Take the summit trail, look for cairns that may be hard to see, since they blend with the background. Gradually, the trail becomes more distinct and easy to follow. The trail contours slightly left as it follows a couple of connecting ridges before ascending the slope to the last shallow saddle just before the summit. Trip Report / Comments: First, some local information. I stayed in the "hotel" right next to the marble statue in the "traffic circle". If you continue a few hundred meters in the direction of Arádena, you will find a grocery store on your left hand side. 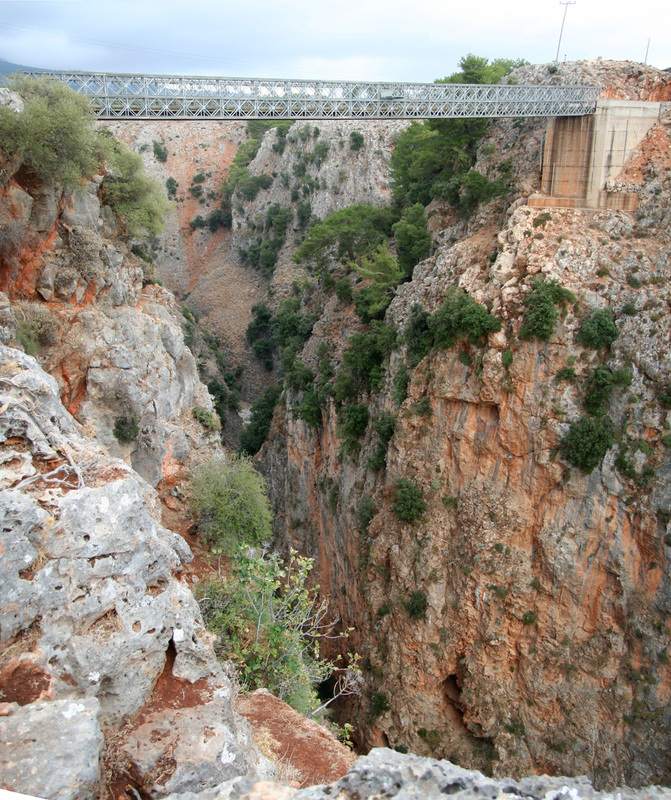 If you drive approximately 2.5 kilometer you will see the impressive Arádena gorge. 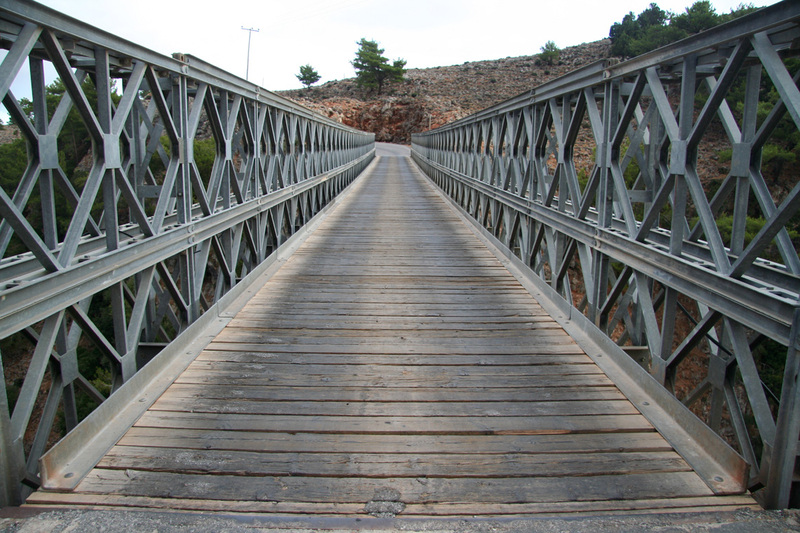 The road crosses about 150 meter above the bottom on a rather narrow bridge. Just across this bridge, there is a small shop that sells postcards, but also detailed topo-maps covering the mountain area in scale 1:25.000. 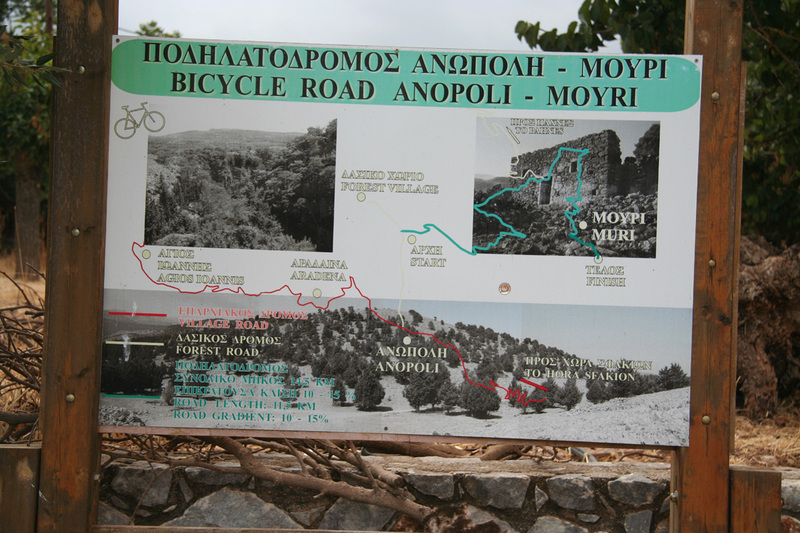 You need two maps to cover the area from Anopoli to the summit, three to cover the entire mountain area. (Euro 6.50 per map in 2006.) 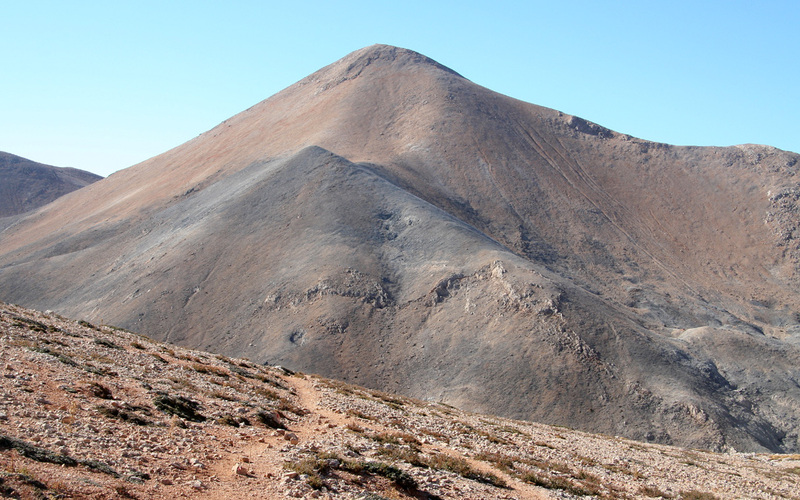 This mountain is the highest point in the large mountain range called Lefka Ori, which means "White Mountains". 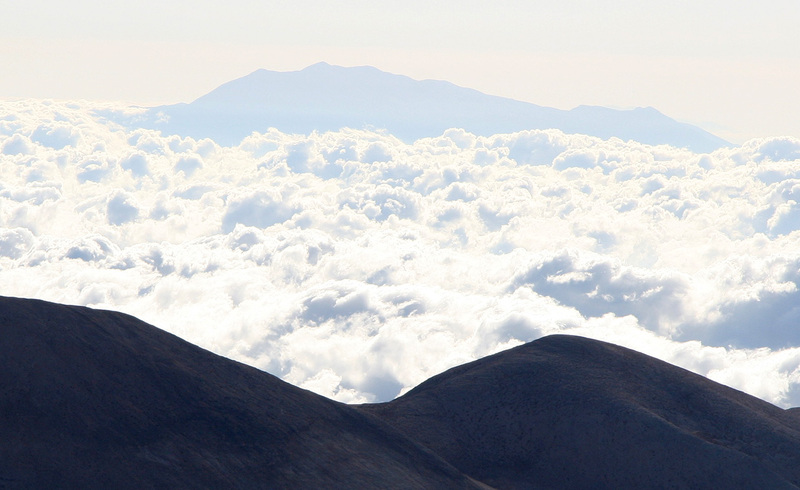 This range has many summits (approximately 50!) 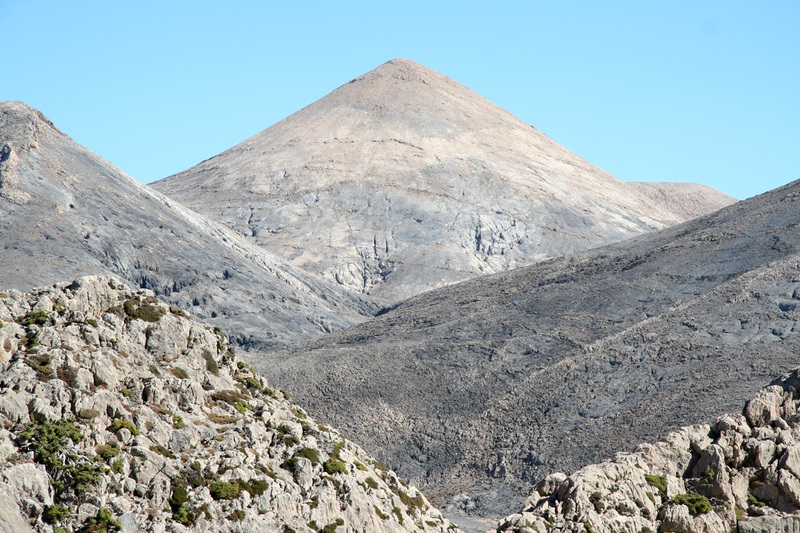 exceeding 2000 meter and is the largest mountain region on the island of Crete. The main attraction of this area are the many (more than 10) impressive gorges that run from the mountains and south towards the sea. 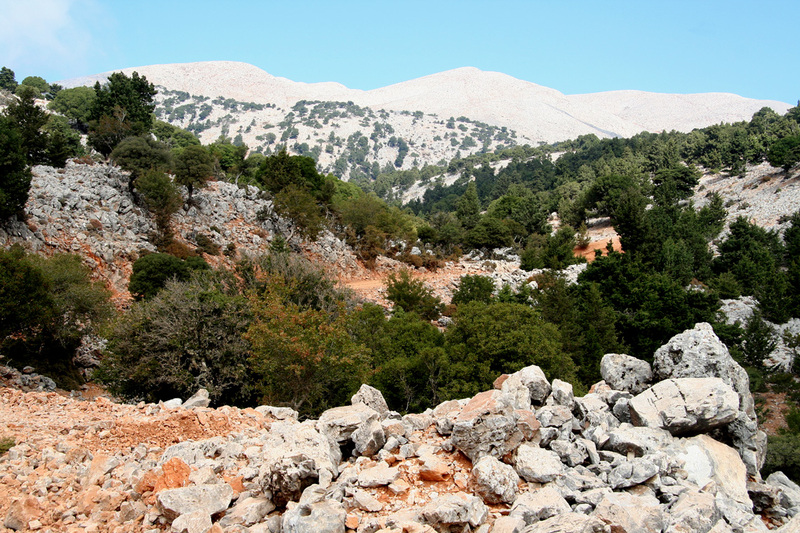 The most famous of these is likely the Samaria Gorge, a bit further west. Most visitors come in order to experience these by hiking (down or less frequent up), through very narrow passages as well as impressively deep down between vertical sections of rock. I drove back to my hotel and sat down outside, where men from the local area were playing cards. I ordered dinner and a beer. They served rabbit (many bones, but good tasting) and a local vegetable dish. It seems like I am the only visitor around. I asked for a second beer and some more bread, then went upstairs to my room around 2030. Two beer, the dinner and the room added up to Euro 29, a bargain compared to what one would have to pay in Norway. I got up early and started out driving around 0600. Fortunately, the road was not quite as bad as its reputation. Careful driving got me nicely up the hill to elevation 1688 meter where I decided to park in order for the climb to gain more than 600 vertical meter. The sunrise colored the mountains red, it was a beautiful morning. I started out on foot around 0700, reached the end of the road shortly before 0800, and the summit at 0900. Just as I left the road, I immediately lost the trail, not realizing that it ran parallel to the road, but higher up. I just headed towards the saddle and found the trail just as the highest (and last) shepherds hut came into view shortly before the trail fork. 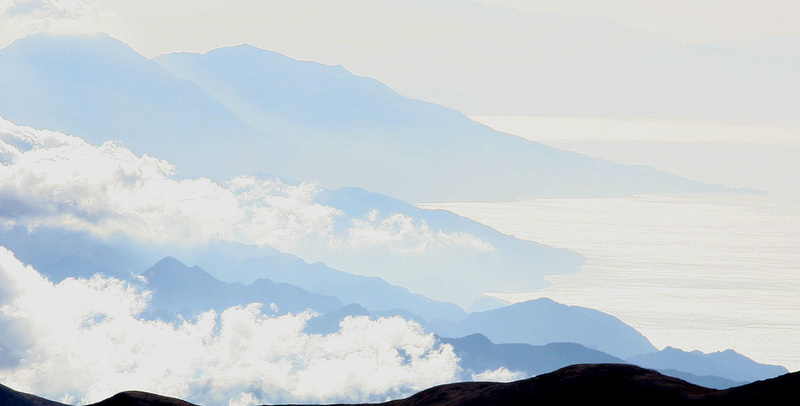 The view of the local mountains was nice, but lower clouds obstructed some views of the island. The best view of the coast was east along the south coast, but even here the clouds provided views ranging from limited to pretty good. I could also see pretty far towards the west as the mountain range gradually leveled off. It was quite windy on the top and after taking pictures and signing the visitor book, I headed back down at 0915. Quiet, it seemed I was the only person in the mountains. 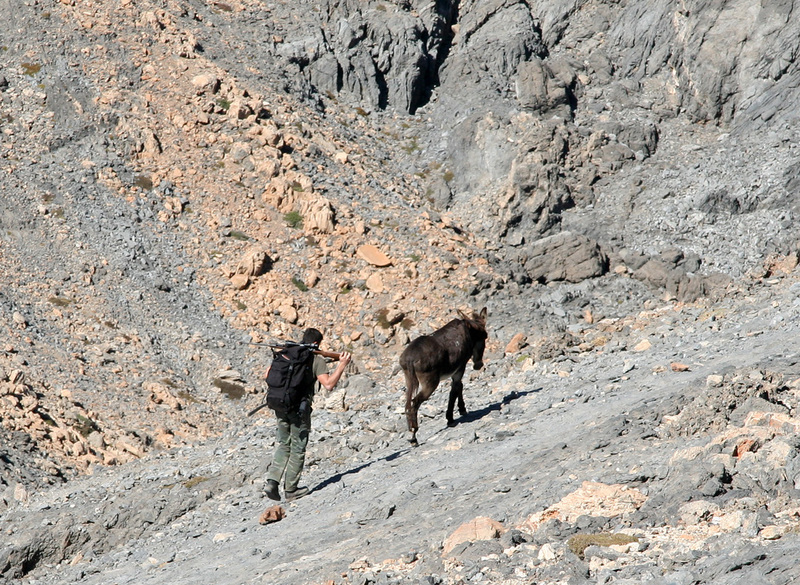 They seem too dry for most wildlife, however, there are goats at the lower elevations. How they find water is hard to understand. 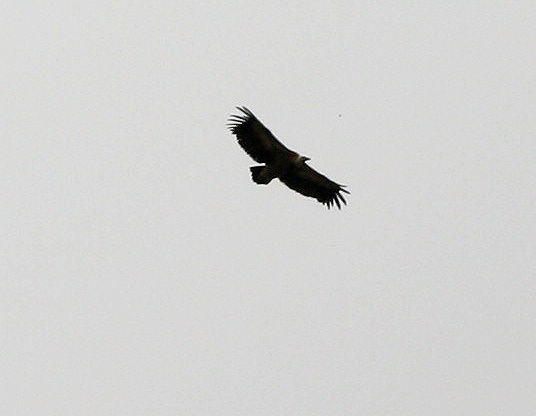 The region is home to a very large eagle, floating effortless on big wings, normally out reach for my camera. I spotted a man with a mule as well as a shepherd with his sheep just before reaching my car. The descent was easy and I reached the car at 1050. My trip on Crete continued with Timios Stavros the following day. 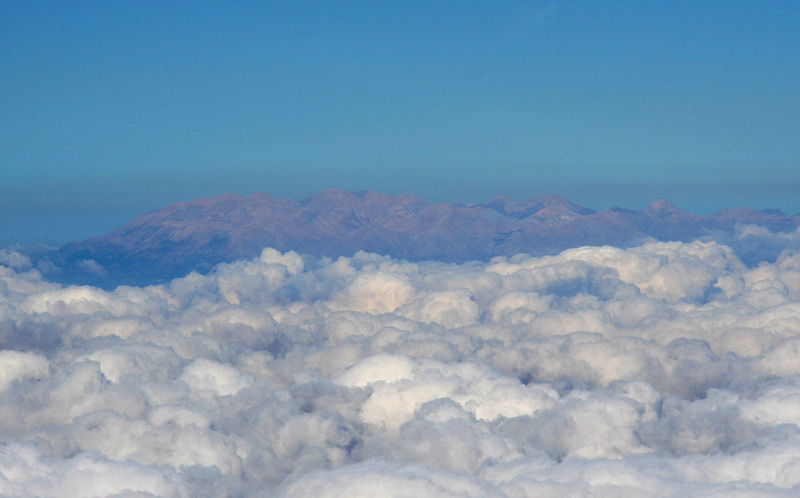 Lefka Ori, as seen from the air above Chania. 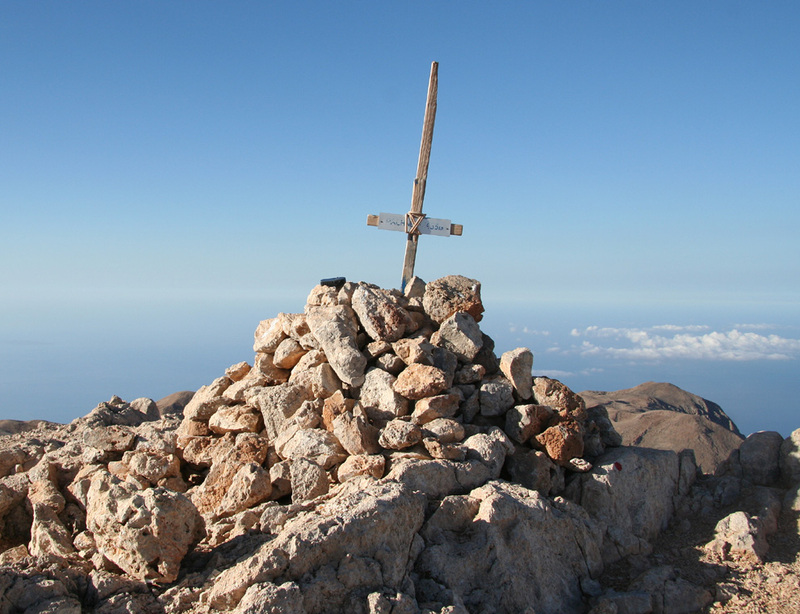 Lefka Ori, as seen from the summit of Timios Stavros. Páchnes, as seen from the final section of the trail. The highest point is in the middle (slightly right). The island of Gávdos. The view is obstructed by haze. The southernmost point in Europe? 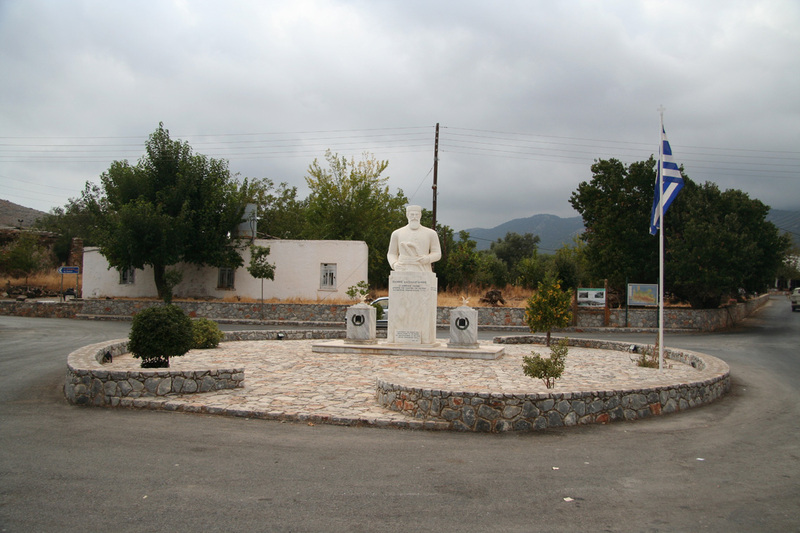 Timios Stavros, as seen from Páchnes. Summit panorama II. The view is north to east. Summit panorama III. The view is east to south. 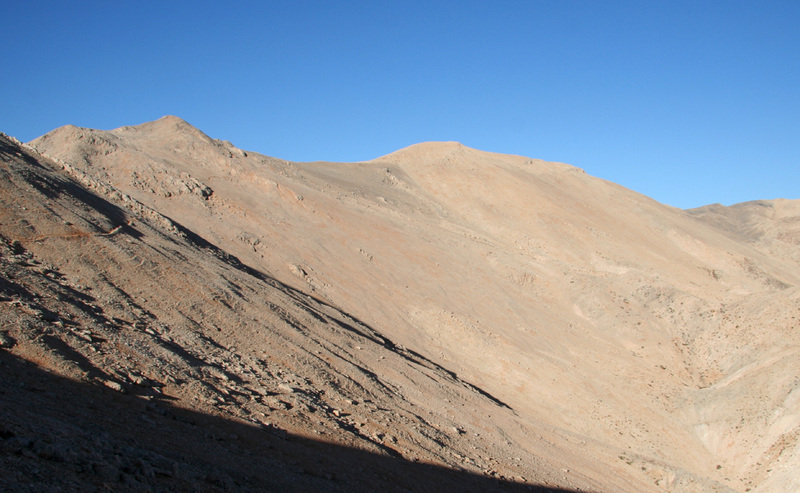 Summit panorama IV. The view is south to south-west. A very nice peak south-east of Páchnes. 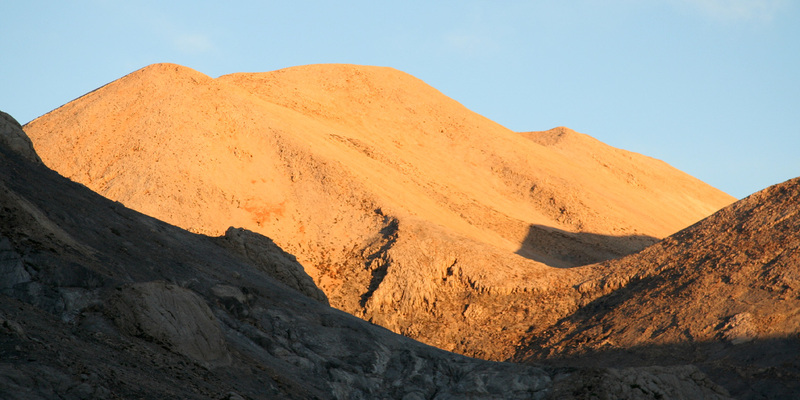 This peak is named Trohans and is 2410 meter. A near perfect cone. 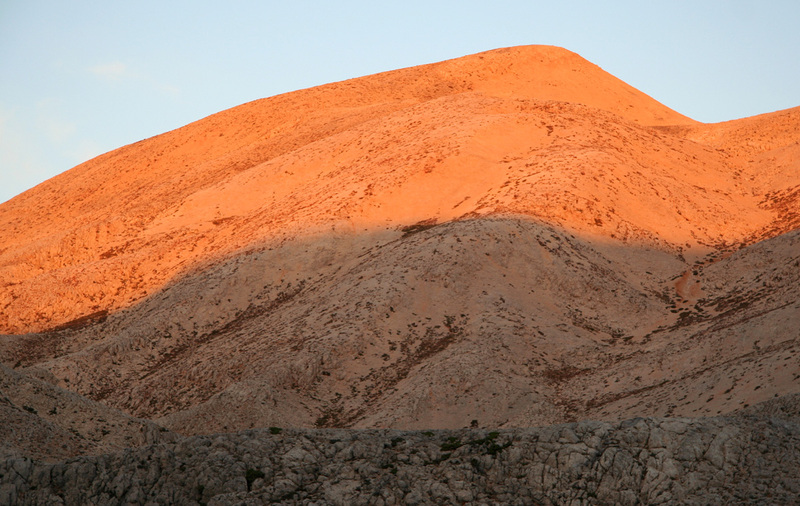 This mountain is 2210 meter and without a name on the map. 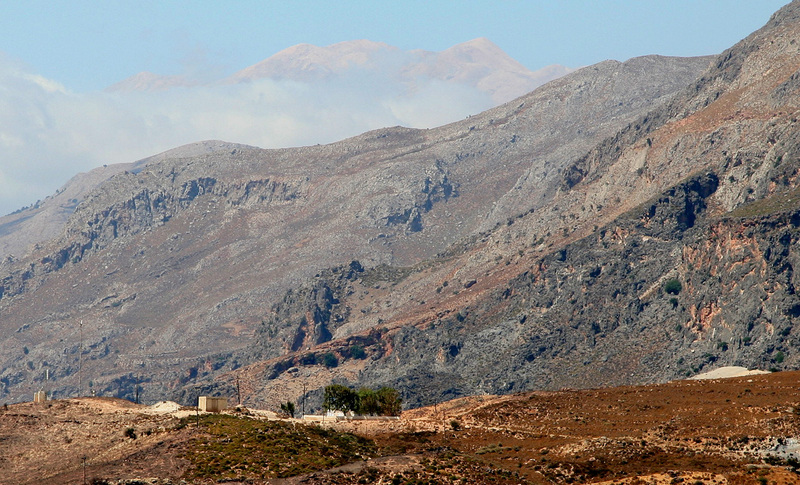 Lefka Ori, as seen from the south coast further east.